Company Leaflet Our company leaflet is going to help you gain a better understanding of our capability and what you can benefit from our metal clad plates. 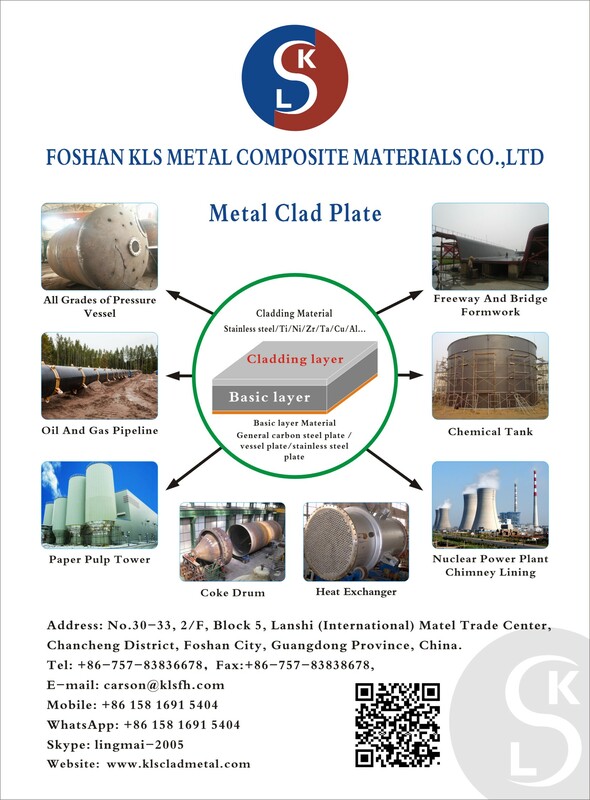 Company Brochure Foshan KLS Metal Clad Materials Co.,Ltd is a groundbreaker in the field of metal clad materials in China.Our core business apart from stainless steel grade 200,300,400 series is various metal clad materials. Introduction of Metal Clad Plate If you are looking for a combination of light weight,lower cost,good strength,corrosion resistance and thermal and electrical conductivity in a single metal,just consider the clad plates. Stainless Clad Pipe for Balustrade Systems *SS layer ensure the corrosion resistance of the surface ,carbon steel enhance the overall strength and make the total pipe more strong and durable. *much more cheaper price than traditional ss pipe and save the cost *mainly used in municipal facilities decoration/fances,home use stail rail,curtain rail etc.